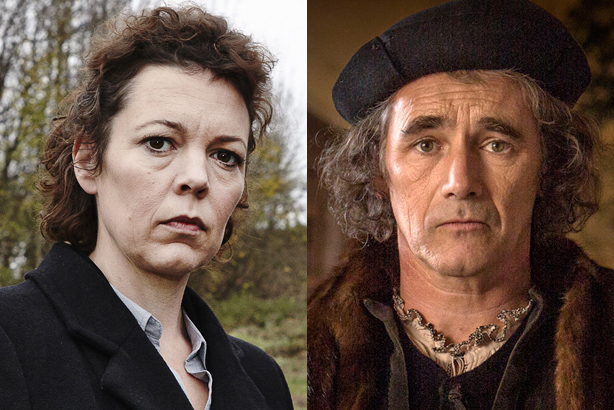 Broadchurch or Wolf Hall: Which PR approach do you use? The past few Sunday evenings have seen the Feller family squeeze on to the sofa to devour Broadchurch and Wolf Hall. And it struck me these programmes reflect the ways in which brands use PR companies and content providers to engage with customers, with similarly popular – if not always effective – results. Here’s the plot. There are two broad schools of content, each striving for excellence, both incredibly successful but flawed. It started out as a good idea – palatable, bite-sized chunks of superior written material, easy to understand, utterly addictive and ferociously shared. So popular that they decided to do it all over again – compiling it faster than before, so as not to lose the audience’s interest. Except this time the content is not believable and too contrived, it promises much yet delivers less than before, its plot holes are wider, its crude characterisation more annoying. Most worryingly, we’ve stopped caring – and sharing. The desperate rush to provide us with more of the same has made us feel like we’re being taken for granted. Quantity has taken the place of quality. A brand, whilst still extraordinarily popular, has been indelibly tarnished. Then there’s the Wolf Hall school. Intellectually challenging, high production values, imbued with an authenticity that makes the consumer feel as if they’re learning something. Slow, long, sometimes difficult to follow but riveting, it feels meaningful and devoid of cheap tricks. Yet it never feels too smart for its own good – it wears its intelligence lightly. And so it is with content marketing, native advertising, branded blah blah, whatever you want to call it. Do we want to flood the market with hastily prepared if well-crafted populist nuggets, with not a lot of thought beyond how many clicks can be engineered through manipulating the audience into thinking they’re consuming quality? Or do we want to elevate our ambitions and create content that people recognise as superior from the first word, that doesn’t take us for fools, that knows copying what went before is not going to enhance a brand’s reputation, that striving for depth is more rewarding than comfortably remaining in the shallows? Last week, I lost a pitch because I was selling Wolf Hall while they wanted to buy Broadchurch (in actual fact, I think they wanted Brookside). The temptation for clients, and companies like mine, is to engage in an unseemly scrabble for click-bait without asking what the consumer wants: more of the same, or something more? There’s room for both of course – which is why we spent two almost silent hours on the sofa on Sunday. But I feel sure Wolf Hall will win the prizes, be sold to countless new markets and be considered one of the great dramas of our time – thanks to wonderful source material. The DVD of Broadchurch’s second series, however, will languish unloved in charity shops for years. I spent most of my career helping to create some outstandingly clever and meaningful tabloid journalism – and plenty of meaningless, silly stuff too. In this shiny new world of content marketing, however, I firmly believe bigger is not always better.